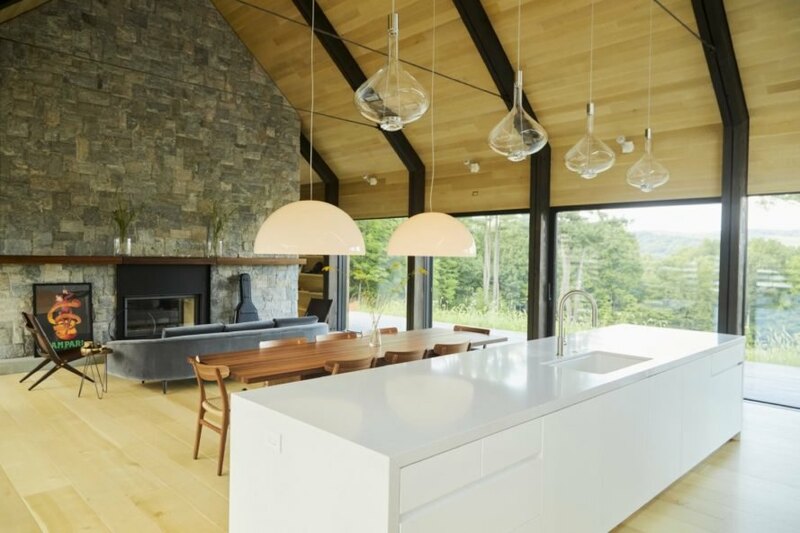 Reconnecting with rural roots has never looked better than at Silvernails, a beautiful hillside home fashioned as a rural barn in Rhinebeck, New York. 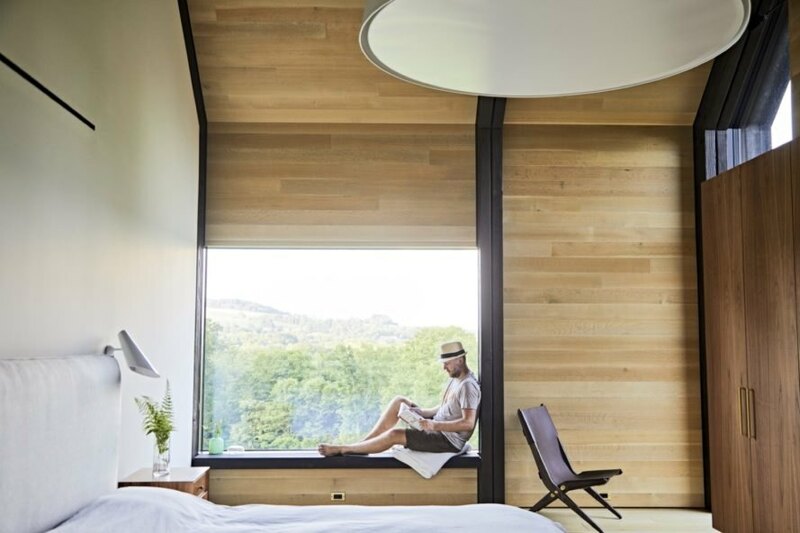 Set on a picturesque 120-acre property near the east side of the Hudson River, the gabled holiday retreat is the first “ground-up” residential work of Manhattan-based Amalgam Studio. In addition to its modern good looks and spectacular outdoor views, Silvernails also boasts an energy-efficient design optimized for cross-ventilation and daylighting. 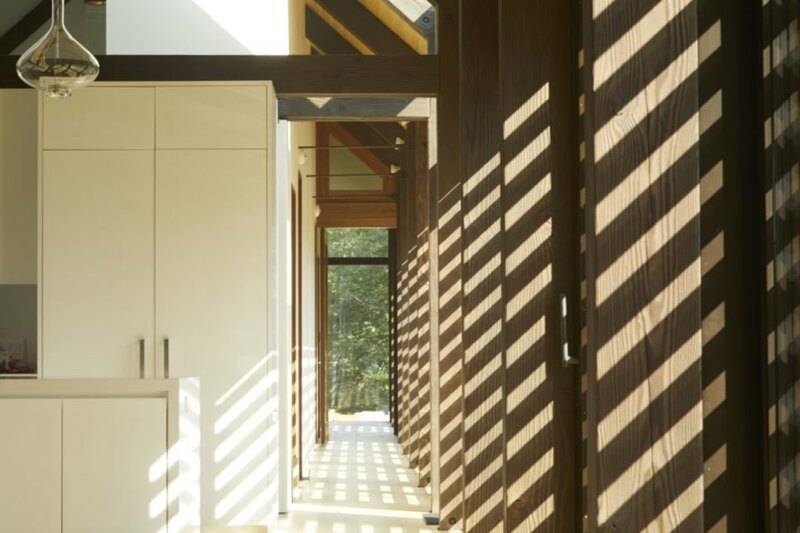 Spanning 5,000 square feet, the timber-clad home is organized as a long and linear rectangular mass clad in timber inside and out. “Much like the traditional communal barn-raising events of the region, the double-height Bent Frames were raised and bolted into place, with the entire timber structure completed in one day,” explained Amalgam Studio founder Ben Albury, who noted that although many people are drawn to the airy and warm character of barns, the rural buildings’ lack of insulation and comfort are turn-offs. 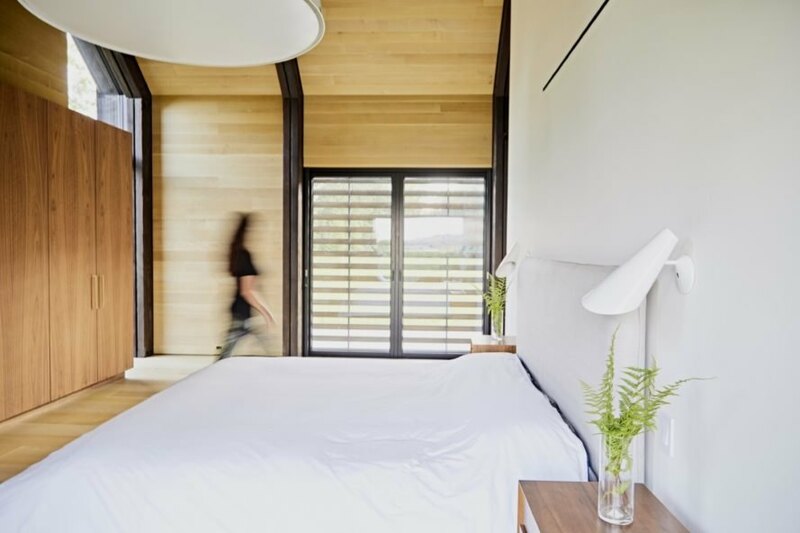 To make the barn-inspired residence a comfortable and welcome place to call home, the architects used high-performance glazing and insulation to ensure stable indoor temperatures year-round. In-wall heat-recovery ventilation units and operable windows also promote continuous fresh air. “From the very beginning, the clients wanted a comfortable house. I believe it would have been irresponsible for me not to look at, and ultimately follow, Passive House Standards,” Albury said. “As far as I’m aware, the home features the longest triple-glazed Passive House Certified residential skylight in North America.” In addition to natural ventilation and lighting, Silvernails features LED lighting, an energy-efficient multi-split heat-pump air conditioning system and locally sourced materials. The exterior is clad with unpainted “plantation pine” treated to withstand rot and pests and applied using a “unique, innovative clip system to the standing seams of roof sheeting.” The interiors include white oak flooring and lining, walnut cabinetry and hickory vanity units. The timber palette is complemented with domestically quarried stone, including granite and slate. This rustic home is inspired by rural design and passive house principles. The home is lined in timber inside and out. The architects used local, natural materials throughout the home. 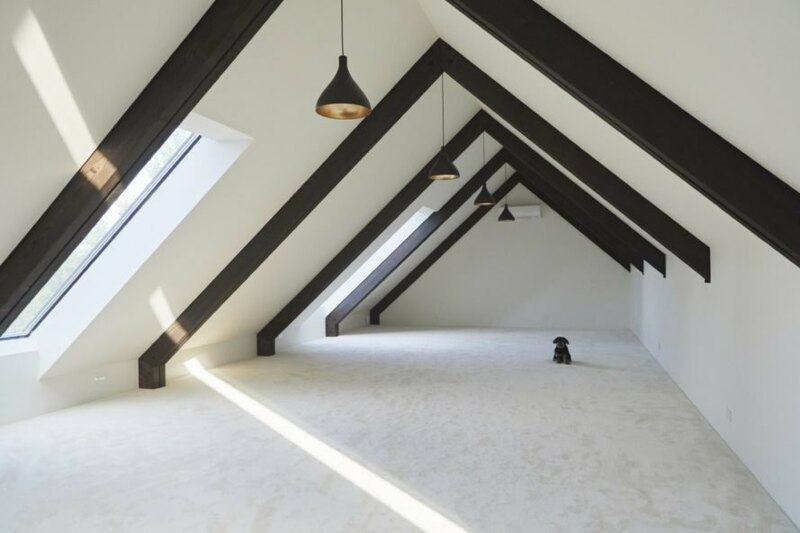 Skylights and windows allow natural light deep into the home. The home also utilizes LED lighting and energy-efficient heating and cooling. 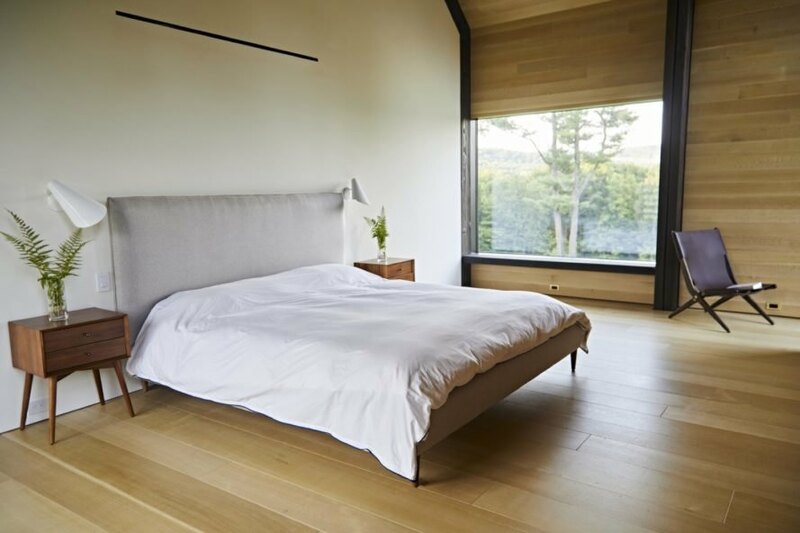 Each room offers a serene retreat. Large windows connect the home to its surroundings.